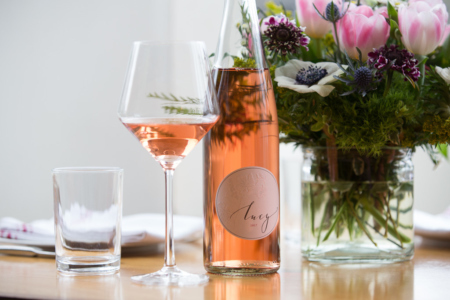 Classically chic, Lucy is a sophisticated rosé that you can take just about anywhere. Easy on the wallet, ripe with pinot noir character, and refreshingly versatile, this irresistible rosé is a perennial favorite amongst wine critics and backyard BBQ enthusiasts alike. Born in the Santa Lucia Highlands, Lucy is the charismatic younger sister of Lucia Wines, a celebrated label that represents a collection of vineyards run by the renown Pisoni family. In 2003, making her limited debut in just two precious barrels, winemaker Jeff Pisoni immediately knew that he had crafted something exceptional. More than a decade later, the tradition of providing the utmost care and attention to this exquisite rosé carries on, and only a limited amount is produced each year. With Lucy, experience every occasion through rose colored glasses. Only a limited amount of Lucy Rosé is produced each year so that the utmost care and attention can be given to the wine.